This is a subject guide to some of the most important electronic resources in the field of Translation. Email or phone the subject specialist for more information and assistance. APA citation style refers to the rules and conventions established by the American Psychological Association for documenting sources used in a research paper. The Chicago Manual of Style Online is completely searchable and easy to use, providing quick answers to your style and editing questions. The Q&A content is fully searchable along with the content of The Chicago Manual of Style. The Chicago Manual of Style Online also provides convenient Tools, such as sample forms, letters, and style sheets. A multi-disciplinary database provides full text for more than 4,500 journals. Includes 2 databases, i.e. LitFinder and Modern Language Association (MLA) International Bibliography. In addition to literary index custom, linguistic researchers can analyze term frequency and term clusters in their search outcome. Allows users access to nearly all the ProQuest periodical databases and provides in-depth coverage of a wide range of disciplines including business and economics, environmental studies, geography, public administration, social science, political sciences, and more. Includes the abstracts and references of 15,000 peer-reviewed journals across different subject disciplines. 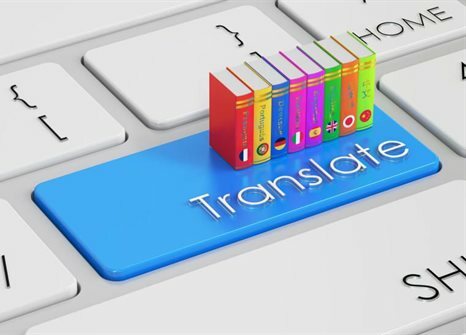 Translation and Interpreting (T&I) Studies highlights the transfer and mediation role of the disciplinary to provide annotated records on translation and intercultural studies.